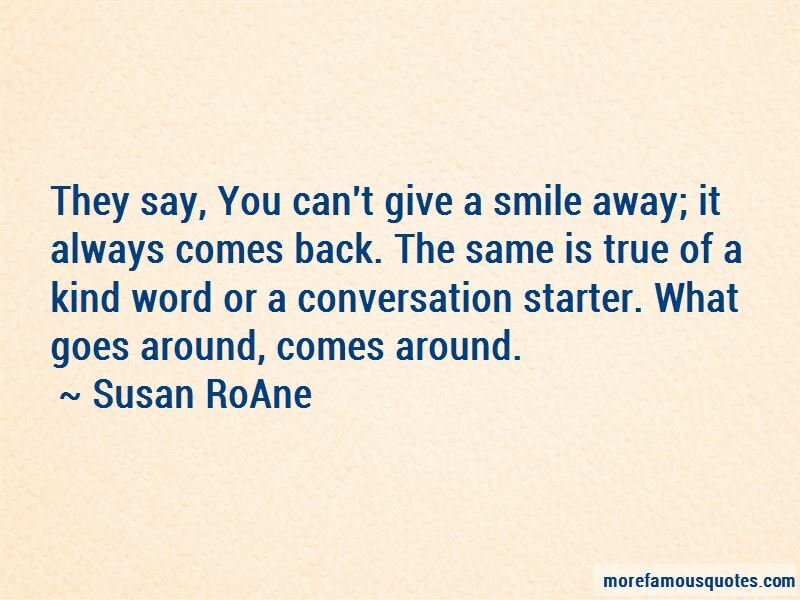 Enjoy the top 13 famous quotes, sayings and quotations by Susan RoAne. Ninety percent of the people in any group are nice, raised to be polite, and have more in common than not. They say, You can't give a smile away; it always comes back. 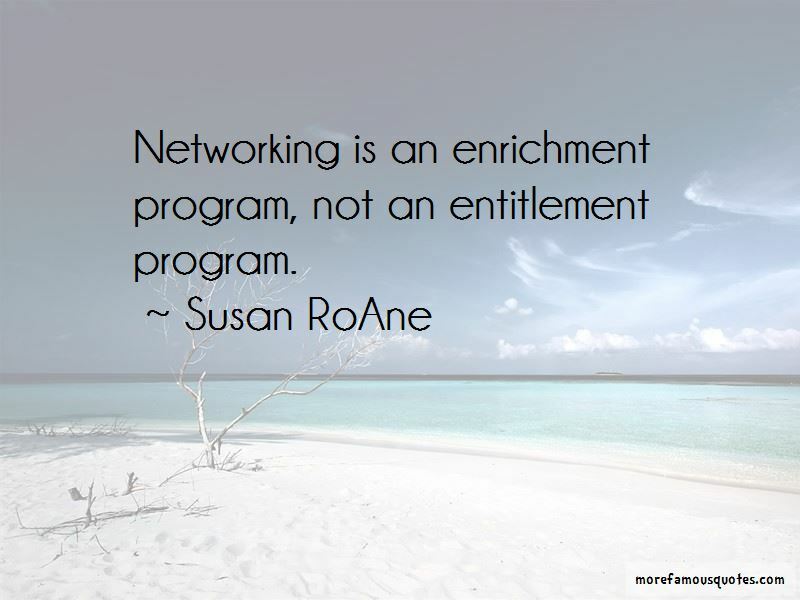 The same is true of a kind word or a conversation starter. What goes around, comes around. 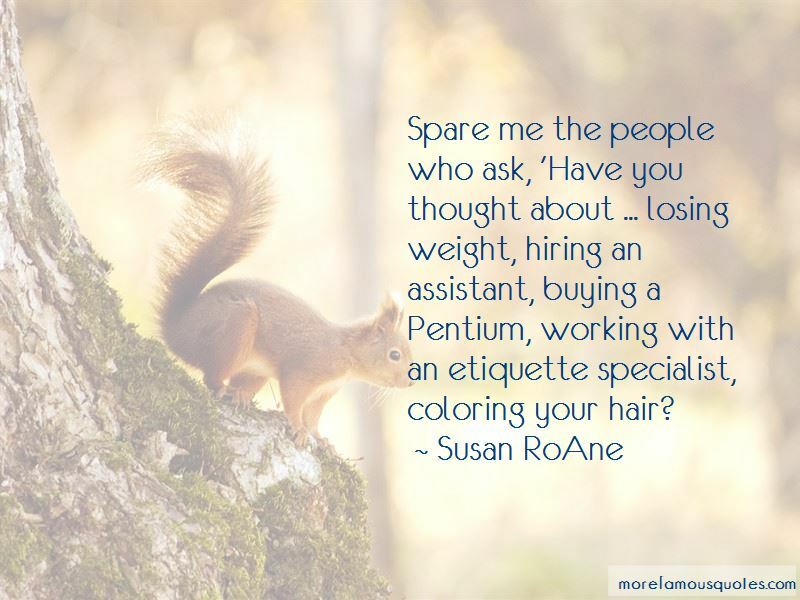 Want to see more pictures of Susan RoAne quotes? 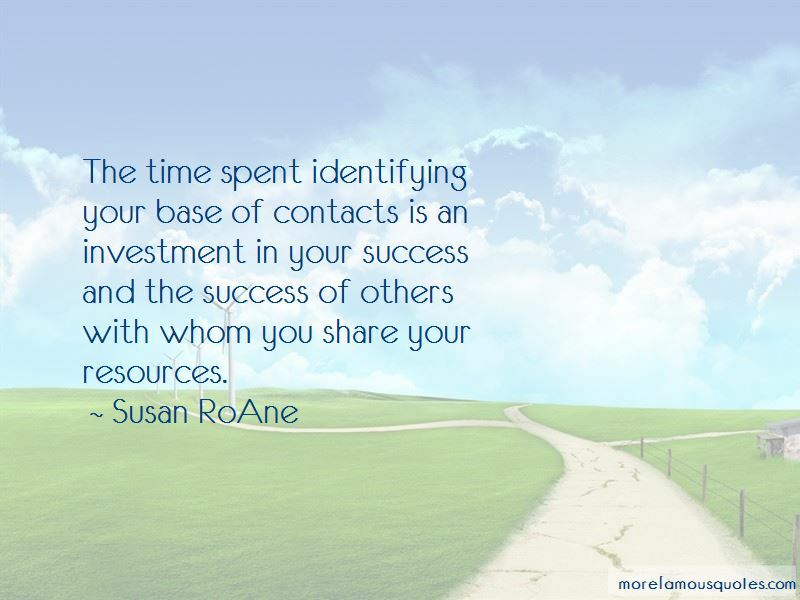 Click on image of Susan RoAne quotes to view full size.